The exhibition FACES. The Many Visages of Human History is, in its own way, a landmark of the work that Arc Team, the Museum of Anthropology at the University of Padua and Antrocom NPO are making together. The reconstructions of the faces of hominins; of St. Anthony and of the Blessed Luca Belludi; of Francesco Petrarca and of Giambattista Morgagni, are the evidence of a research that lasted for months and that continues nowadays; a research intended to be expanded to other areas of interest. In fact, the exhibition offers to the visitors the opportunity to reflect on concepts meaningful to anthropology as diversity, self-perception and identity from the point of view both historical and contemporary, but it is also a mirror of a continuous testing of technologies that open new perspectives in different areas of anthropological research. Staying in the wake of the topics of the exhibition, there is no doubt that the perception of the self and diversity are important parameters in the assessments of medical anthropology, especially if the feedback on them are carried out in the light of the implementation of new technologies and 3D printing, in particular applied in medicine. For example, the prostheses that can be constructed, even printed, in a relatively short time and custom-made for the patient. We have a lot of examples from this point of view: the mandible custom-made for a 83 years old woman or the cranium completely replaced in a 22 years old Dutch patient; or the realization of live organs, such as liver, tracheal cartilage and ear directly using living cells. More, forensic reconstruction is a valuable tool in reconstructive surgery: examples of implementation, in this context, are the reconstruction of the face of Albert of Trento via open source software, or of the face of a child mummy preserved at the Saint Louis Art Museum. I shall focus in particular on an implementation made by Cicero Moraes in order to treat the developmental dysplasia of the hip (DDH), a neonatal congenital malformation and treatable using Pavlik harness or making a particular plaster cast (hip spica cast). There may be, in severe cases, even a type of orthopedic surgery. This treatment involves a continuous monitoring of the patient because of its complications: pain, increased temperature, lesions of the skin. Moraes, together with researchers Munhoz, Kunkel and Tanaka, has implemented an alternative method to the common orthosis consisting in a photogrammetric scanning of the hip in order to replicate the perfect geometry of the anatomical part, with reduction of costs and time and avoiding complications to the patient. The aims of our research are gradually expanding and we know that we have to do still a lot of work. It's a good thing, however, that we stopped for a moment to take stock of the situation and to recognize that we are helping to improve the state of affairs. Not only in archeology and anthropology, but also in other fields thanks to the scope of what we are doing. A result achieved thanks to motivated individuals who, despite residing in geographic areas far apart, have joined efforts to reach a common goal by sharing data and projects. Since 2011 Arc-Team is working on the field of modern conflict archaeology. The most recent step was the conclusion of our European Project (Interreg IV), during which we had the possibility to document for the first time on lage area the military remains of both conflicting parties: The Austro-Hungarian Army and the Italian Royal Army. We've filmed the single steps of archive studies, field work, data processing and tests for future applications of the collected data. 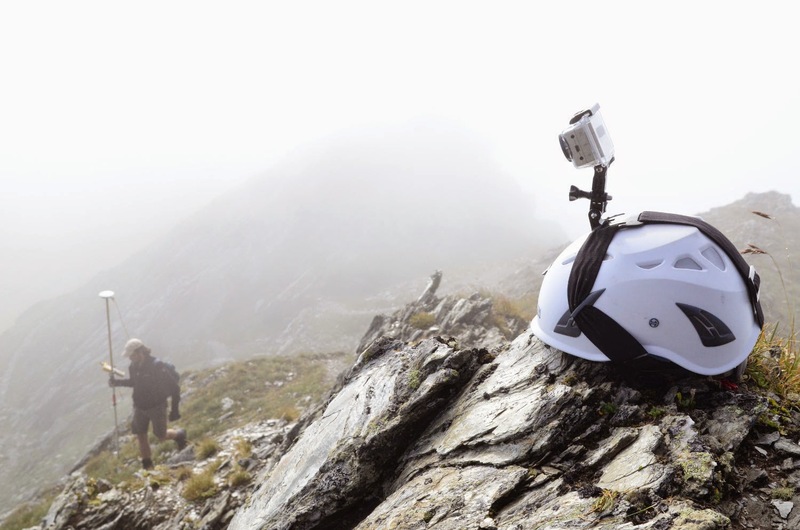 Soon we will post also some scientific details and results of the project. Special thanks to +Michele Mazzurana for his contribution. 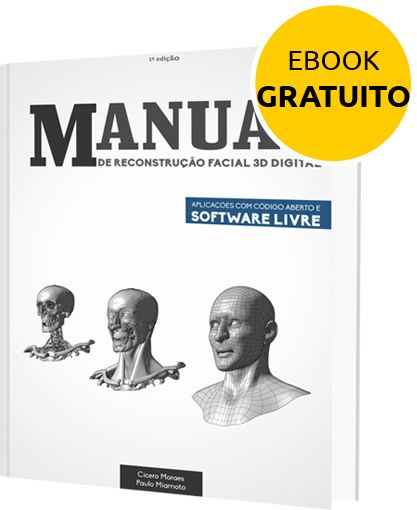 3D Designer Cicero Moraes (Arc-Team/Ebrafol), and Forensic Dentist Paulo Miamoto (Ebrafol) are working on the final stages of their e-book, "Manual of Digital 3D Facial Reconstruction - Applications with free software and open source". Although working for some years researching open software applied to forensic and archaelogical contexts, the duo reached international notoriety last year, when they took part in the facial approximation of Saint Anthony. The facial reconstruction of Mary Magdalene is their latest project that has drawn the media's attention. Nowadays, Moraes and Miamoto are the coordinators of a non-profit NGO, the Brazilian Team of Forensic Anthropology and Dentistry (Ebrafol, for its acronym in Portuguese - www.ebrafol.org). The main objective of Ebrafol is the promotion of Human Rights by the application of the aforementioned sciences. They highlight that the tools used in historical projects like Mary Magdalene's are the same that can be applied to help human identification, and possibly contribute to solve cases of disappeared individuals. Moraes and Miamoto now expect to share their methodology of work using free software in their e-book. "Unlike what most people may think at first sight, we actually want as many people as possible to learn all about our techniques and apply them to their needs, which might actually help people around them. And that's why the e-book will be free", explains Cicero. In this work, the reader will be taught from square one all about facial reconstruction, since digitalizing a skull with photogrammetry, up to rendering the modeled face. It is intended for absolute beginners, as Dr. Miamoto explains "I didn't have a solid background on 3D Modeling during my regular studies, it was a slow but constant learning process. Therefore it is important for us that this book is easily comprehensible by professionals of backgrounds other than computer sciences, like dentists, anthropologists, pathologists, archaeologists and anyone with a will to learn." Open software like Python Photogrammetry Toolbox with Graphic User Interface (PPT-GUI), MeshLab, MakeHuman and Blender are some of the applications that are explained in tutorials throughout the chapters. To receive your copy of the book, please go to www.ciceromoraes.com.br, fill out the form and a copy will be sent soon, as the book is on its final reviewing phase. Although it is still in Portuguese, the authors expect to release translated versions to Spanish and English hereafter. In many archaeological GIS a very important step is the study of historical maps. During the Project Tovel this stage has been a primary target, being strictly related to the 3D reconstruction of the underwater surface of the lake. In fact one of the best source for the bathymetry of Tovel is the plan drawn, between 1937 and 1938, by Edgardo Baldi (director of the "Istituto italiano di idrobiologia Dott. Marco De Marchi" of Pallanza, currently incorporated in the National Research Council - Institute of Ecosystem Study).